These are separable radial bearings (i.e. the outer ring simply sits on the inner ring and can simply be lifted off). 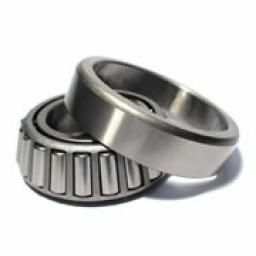 Taper roller bearings are only able to accept thrust in one direction and thus must be used in pairs where a shaft adjustment is required in both directions.